DENTIST | Houn Young Kim, D.D.S., M.P.H. Dr. Houn Young Kim welcomes you to Burlingame Dental! She graduated from the School of Dentistry at West Virginia University with a Doctor of Dental Surgery(D.D.S.) degree. She earned her master's degree in Public Health from West Virginia University, where her focus was on the effect of prenatal women's dental health condition on their children. She holds her bachelor's degree in Biology from the State University of New York at Binghamton. 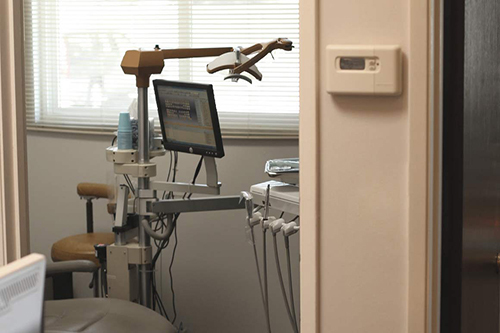 Dr. Kim is an active member of numerous dental organizations including American Dental Association, California Dental Association, San Mateo County Dental Association, and Academy of General Dentistry. She enjoys volunteering at 'Give Kids a Smile' program and at various local community organizations. At her spare time, she also enjoys traveling, hiking, and enjoying gourmet dishes. She also likes spending her weekends with her husband, two little boys, and a baby girl. DENTIST | Maryam Ajami, D.D.S. Dr. Maryam Ajami graduated with high honors from University of the Pacific in San Francisco with a Doctor of Dental Surgery (DDS) degree. She has many years of experience in both private practice and non-profit organizations. 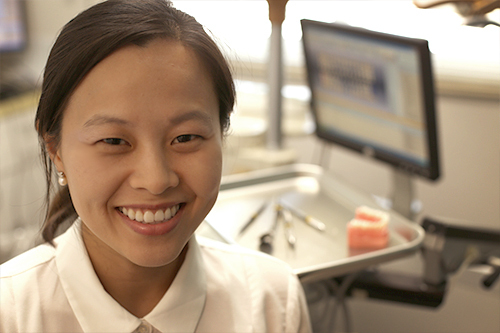 She is also a part-time adjunct faculty member at University of the Pacific where she teaches clinical dentistry. In addition to private practice and teaching, Dr. Ajami is involved with the Healthier Kids Foundation in Santa Clara County, where she screens hundreds of children per year for oral health. She is an active member of the American Dental Association, the California Dental Association, and the San Mateo Dental Society. In her free time, she enjoys cooking, traveling, and spending time with her family. 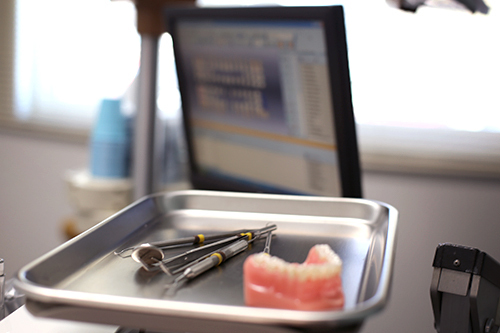 Insurance : Burlingame Dental submits insurance claims electronically for your convenience. We make every effort to maximize your insurance reimbursement for covered procedures. We accept most major dental insurances. Payment : We accept Cash, Checks, Money Order, Visa, Master, Flexible Spending Accounts, and Care Credit. Good communication is always helpful in any situation. Please feel free to ask any questions or concerns that may occur. Our cozy office is built with style! Please take a few minutes to look around. Very satisfied with the attention/service I was given! Everyone was attentive to my needs and concerns! So happy with my new dentist and her staff! Thanks everyone! I am very satisfied by the service of Dr. Kim and staff. Thorough review of the treatment over the conversation made me feel very comfortable and alleviated my nervousness. Office was cozy and ready for an immediate treatment at my arrival. Job done on my new crown by the lab that this office works with is also of excellent quality. 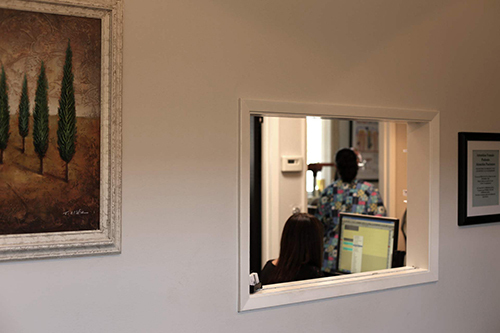 Loved my experience with Dr. Kim, who recently took over Dr. Arami's practice. She was very thorough and hands on with every element of my checkup and cleaning. She verbally checked in on how I was feeling throughout the appointment. I left in a reasonable amount of time (40 min) almost feeling exactly how I was prior to the appointment. No grimy feeling from the polish, no sore gums. Only clean teeth, ready to continue my day. © 2013 Burlingame Dental. All rights reserved.